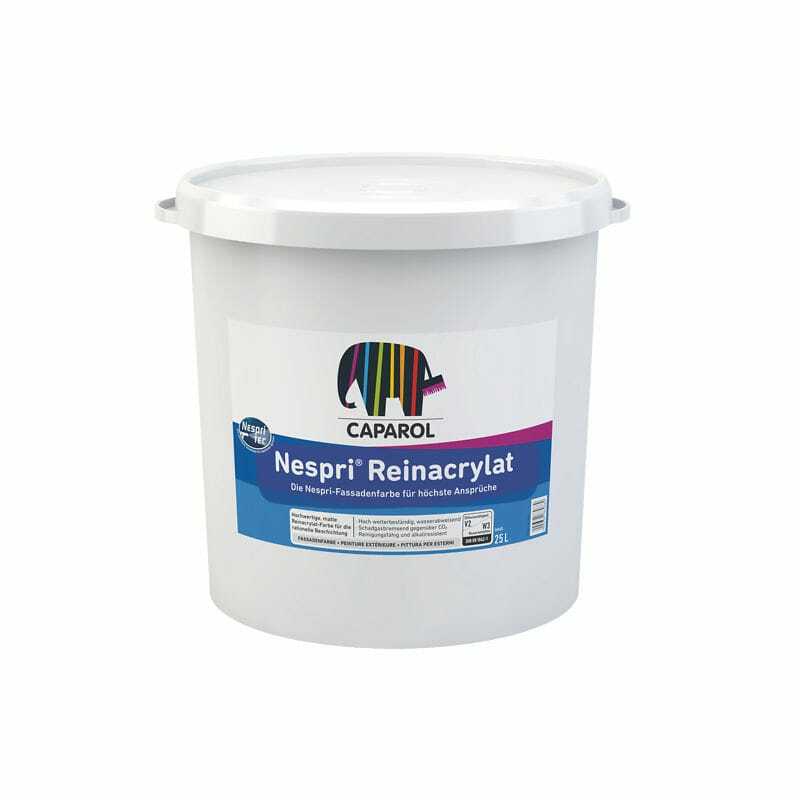 High-grade, matt, pure acrylate paint, for efficient coating using the Nespri-TEC spraying method. High-grade coating for facades and internal spaces providing a high protection against the penetration of corrosive gas CO2 (carbonic acid gas). Applicable in special mist-free Nespri-TEC spraying method. For weatherproof exterior coatings on smooth and finely textured substrates, giving higher protection against aggressive air pollutants. Heavy-duty interior paint, suitable for storerooms, workshops and underground car parks. Resistant to aqueous disinfectants and household cleaning agents.